Amphibians aren’t the first group of species that come to mind when you think of wildlife. They are also relatively under-studied and we’re here to change that. 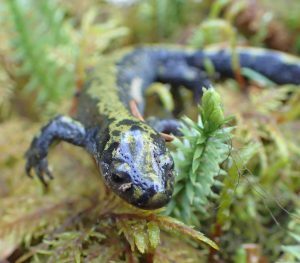 We’re funding, what we believe to be the most comprehensive amphibian research project in Northern B.C. Digital images and skin pattern recognition technology is used to identify individuals. 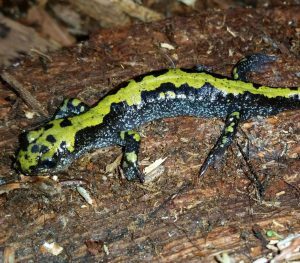 For Long-toed Salamanders (pictured), their brightly-coloured, yet variable, topside is photographed. Credit: Mark Thompson. Gathering solid baseline data and using rigorous, scientific methodologies is the approach being used on the Amphibian Wetland Connectivity project being funded by the FWCP and delivered by DWB Consulting, now in year three of four. 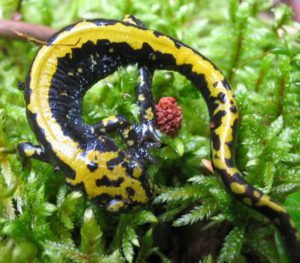 The project’s goals are to gather data on amphibian movements and habitat use, to inform species conservation and habitat enhancement. An equally important goal of this project is to promote conservation in communities: research has shown that raising awareness and sharing knowledge can lead to changes in management practices and, ultimately, increase amphibian populations. Amphibians have been around for about 365 million years, but in the last few decades they have significantly declined worldwide. The most significant cause is undoubtedly habitat loss and fragmentation. An extensive amount of amphibian wetland habitat was lost when the reservoirs in the Peace Region were created. Understanding ecological function and connectivity between wetland habitats is a priority for us and is one of the reasons why we are funding this project. Furthermore, conserving species-at-risk is also a priority for us, and the federally at-risk Western Toad is a focal species in this project. In addition to the Western Toad, the Long-toed Salamander, Spotted Frog, Wood Frog, and Boreal Chorus Frog are also in our Peace Region. 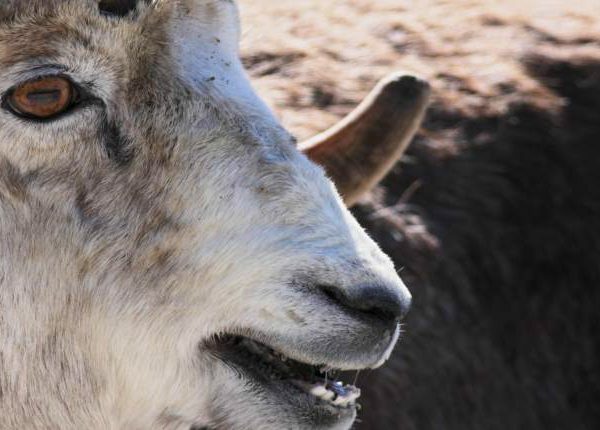 While relatively few in species richness, their influence is huge, especially with regards to the environmental services they provide, such as cycling nutrients through the ecosystem. 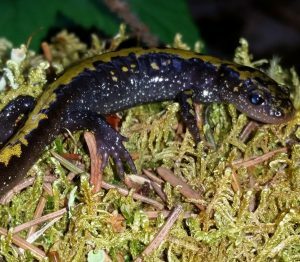 Over the past three years, the project has been capturing and uniquely identifying amphibians to see what habitats they move within, how they grow, and move from year-to-year. Digital photos, together with skin-pattern recognition software, are being used for quick and accurate identification – quite a new science technique. 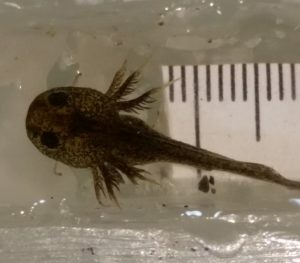 Even with emerging science techniques, there remain significant challenges when studying amphibians. Only about five per cent of the population may be visible at any one time, since many spend large amounts of time underground. Not to mention the small breeding window for amphibians in the north. Outreach and education is a big component of the work. Nak’azdli Whut’en First Nation and Tsay Keh Dene Nation are involved in gathering field data and supporting the community outreach and education goals. Earlier this month, Mark Thompson, with DWB Consulting, visited Tsay Keh Dene and spoke with elders and school children to initiate a local amphibian monitoring program. This type of community outreach is needed to gain support for this work, and future conservation and enhancement projects. Last week, Mark presented in Mackenzie, as part of UNBC’s public presentation series, funded by FWCP. 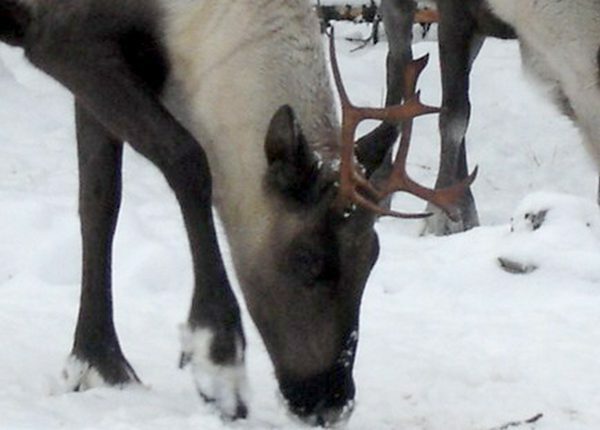 Climate change is a big threat to these critters. 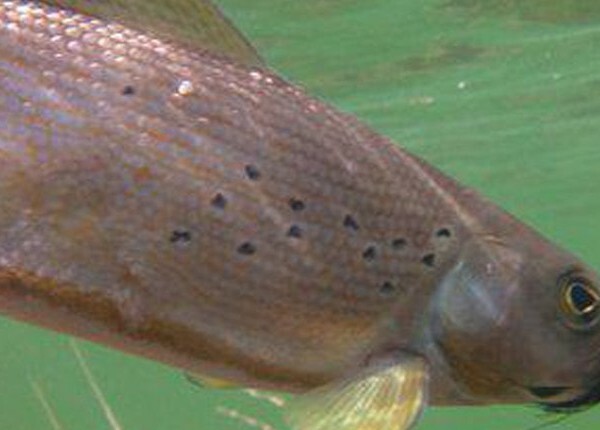 After all, it is not so much the large- and medium-sized waterbodies they rely on for habitat connectivity, but the smaller ponds and wetlands, which are being lost with warming temperatures. This project will improve our collective understanding of amphibians in the north, and will support efforts to ensure their populations remain healthy and sustainable into the future. Photo credits: From top: Mark Thompson, last photo: Sara Sparks.